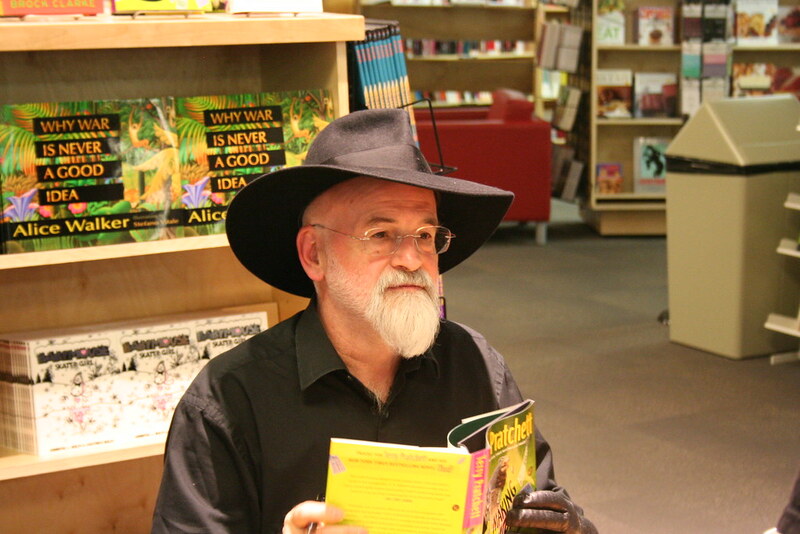 With over 85 million books sold in a lifetime, Terry Pratchett was a millionaire many times over. But after his Discworld books became an international phenomenon, life didn’t change for Pratchett — he just kept writing funny stories. I like guys like Pratchett. There’s something about them, the frugal rich. Warren Buffett lives in the same Omaha house he bought in 1968. Mark Zuckerberg got married in his backyard. I look up to these people. But, for the longest time, I couldn’t figure out why. I found a clue while reading A Slip of the Keyboard — a collection of Terry Pratchett’s non-fiction writings. In it, he labels two types of wealth. If you are vertically wealthy, you think “I am rich. So I had better do what rich people do.” What do rich people do? Well, they find out where the hell Gstaad is, and then they go skiing there. They buy a yacht. They may go to beaches a long way away. Well, first of all, never buy a yacht. Yachts are like tearing up hundred-pound notes while standing under a cold shower. . The vertically wealthy rush to outshine their neighbors with better Christmas decorations, shinier cars, more handsome pool boys. Then, they move to a richer neighborhood and start all over again. What happens when a horizontally wealthy person goes from $30,000 a year to $3 million? He still drives that old Volvo. He still writes stories over home brewed coffee. He still cooks dinner with his family. To understand it, let us go back 2000 years before Pratchett, to the great Roman philosopher Seneca — advisor to Emperor Nero and one of the wealthiest people in Rome. Take away riches from a wise man, and he still has all that is his. And that, my friends, is the difference. While the horizontally wealthy own their riches, the vertically wealthy are owned by them. If so, let me get to my real point. It doesn’t cost a lot to be happy. For a family of three, it can be less than $26,000 a year. Don’t spend your life chasing numbers. Figure out how much you need, get it, and go read a book. Want more? Join over 16,000 readers getting The Open Circle, a weekly dose of my best ideas. I’ll also send you 200+ pages from my private notebooks and 24 of my favorite books. Get it here.